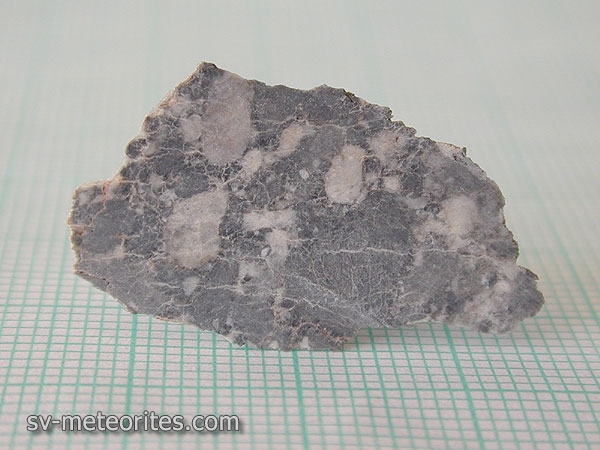 My first and only Lunar meteorite in the house of Allenites. Sergei Vassiliev maintains his kind disposition by sending the piece promptly while we were negotiating term payments. Paypal still won't do, so we have to settle for BizPay. Just 11 years ago (2000), the same specimen sells for U$25,000/g!! Indeed this nice slice with clasts is sure to be kept long here, just here in Binondo.